Rolling Stone provides a recap, noting the aforementioned meeting bore a "surprising lack of romantic or interpersonal fireworks between the two monarchs." But there were fireworks of some sort courtesy of Cersei, who "goes on what Kill Bill's Bride might refer to as a roaring rampage of revenge" (most gruesomely, we learn the fate of Ellaria Sand). The Washington Post's take: "This was, once again, an exceptionally talky episode of Game of Thrones, but the action at Highgarden was a reminder of what the series can do with talk when it pairs up its strongest actors." It also singles out "two fleeting moments of great courage and empathy in this episode." Billboard provides a succinct recap of nine noteworthy moments, and ends with a prediction of sorts: "Dany has been talking exclusively in regal-speak for many episodes now. It would be nice to have a scene of her reacting like a normal young woman. But it looks like we may finally see a break in her exterior in next week’s episode, 'The Spoils of War.'" If you were expecting a Stark reunion, you got one—just probably not the one you had in mind. EW dives into the Bran-Sansa meeting with insight from showrunner D.B. Weiss. Vanity Fair notes that Casterly Rock "has never resonated with fans" the way other ancestral homes like Winterfell have, but it explains why it matters so much to Tyrion, and digs deep into its place in both the books (referencing "Lann the Clever") and in the show. The episode ended with some major twists: Daenerys' taking of Casterly Rock was undermined by the fact that much of the Lannister army was elsewhere: bound for Highgarden, where the episode concludes with Jamie offering Olenna Tyrell a painless poison death. In return, she savages him with a deathbed confession: that she was the one to poison Joffrey. The Independent has her "amazing" death speech. Vanity Fair pays tribute with a piece called "14 Reasons Why Lady Olenna Is the Show's Best Character." With Olenna gone, Vox observes that in just two short episodes, Daenerys has lost all three of her brand new allies, and reads into it: "Overall, it’s clear that showrunners David Benioff and D.B. 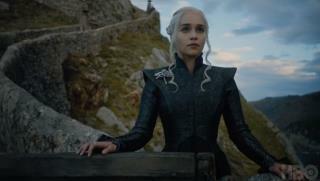 Weiss have chosen to begin this season with a series of setbacks for Dany to level the playing field somewhat." She hasn't wanted to unleash her dragons or the Dothraki, but at this point, she's going to have to. And "that's certainly what the late Lady Olenna would advise." If you need a refresher on the oft-mentioned "Long Night," Vulture offers a primer. If you're wondering why #NoConfederate was trending during the episode, the Washington Post explains. Jaime will be the one to bring Cersei down. will Tyrion finally be vindicated in the death of joffrey?